OOMPH! are pioneers, visionaries, artists. For a quarter of a century they’ve been following their own musical path. On their journey they were never afraid of fusing any influences with their very own version of hard Rock music. This courage was rewarded with an own niche between Metal, Industrial, EBM and Gothic as well as with Gold and Platinum Awards. For years their new albums have been storming the charts, the single “Augen Auf!” even reached number 1. Despite their German lyrics they also made a lot of noise in the USA. This year OOMPH! celebrate their 25th birthday – with a new album and four anniversary concerts. OOMPH! being on top of German Rock music is the result of lots of hard work and fearless creativity. In 1990 DERO (Vocals, Drums), CRAP (Guitars, Keyboards) and FLUX (Guitars, Samples) founded OOMPH! in Wolfsburg – and shaped a new musical scene in Germany with Bands like Rammstein, who later named OOMPH! as one of their influences. Even back then OOMPH! were ground-breaking, because they mixed different styles and genres, while at the same time they weren’t afraid of starting any controversy with their lyrics – even when the public punished them for their honest lyrics, which often criticize society, by excluding them from events. OOMPH! didn’t mind critics or controversy. Proof for that is their newest album, which is as a reference to their anniversary entitled “XXV”. On the album we can hear 14 new songs full of dark poetry, criticism of society and religion. OOMPH! go wild on “XXV” and live out every aspect of their niche. They sing about redemption, love, death, but are also encouraging the listener to celebrate. The 14 new songs are songs which you can dance to and songs which you can think deeply about. The opener “Dein Retter” already marks its territory with razor-sharp synthesizers, a dark and bizarre atmosphere and marching Metal beats. DEROs voice rears up while the bass circles dangerously around the listener always waiting for the next killer refrain. Besides such hard Metal songs there are also lots of emotional tracks. “Alles aus Liebe” mixes elements of a ballad with bombastic keyboard eruptions and is a whirlwind of emotions. Hard, overwhelming, but in the refrain devoted and gentle. Beautiful and painful just like love itself. Another monument without any pretentious kitsch is “Als wärs das letzte Mal”. This song lives of its wonderful melodies and the bittersweet lyrics, which are sad and hauntingly beautiful at the same time. The song is romance cast into a heavy fundament of powerful guitars. 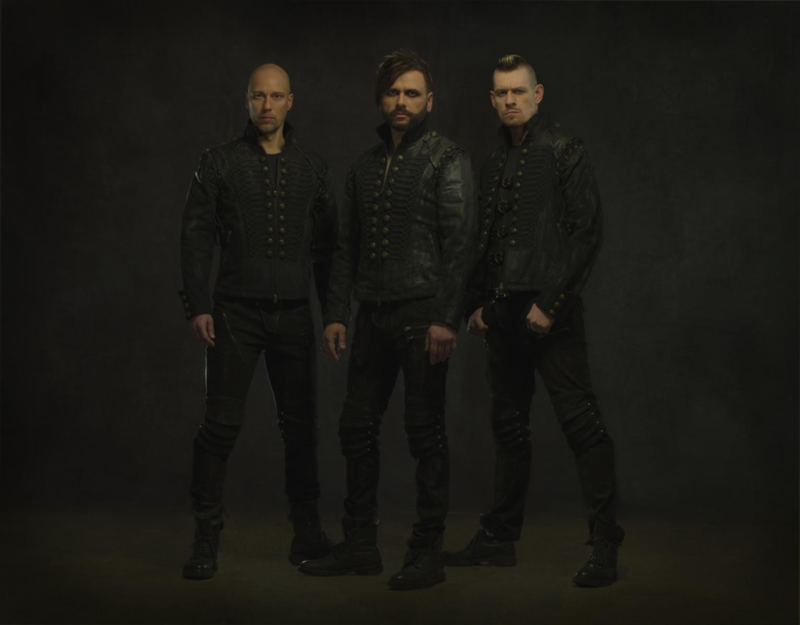 Vocalist DERO says about the new songs: “It is an overwhelming energy, an abysmal passion and a fascinating dark power that these new songs radiate. Never before we have been so close to our own spiritual abyss, never before we have struggled so much with our inner demons like we do on our new album.” On their 25th birthday OOMPH! publish nothing less than the most personal album of their career. All their knowledge, experience and all their talent are united on this album. With “XXV” OOMPH! reach the pinnacle of their very own sound. The 14 new songs have been produced by OOMPH! themselves. Vocals and drums were recorded in the Great Hall Studio in Ebermannstadt, guitars and Bass in the OOMPH!-owned Nagelstudio. Simon Michael, drummer of Subway To Sally, helped as a Co-Producer. Bodenski of Subway To Sally contributed lyrics for the album. The new songs will also proof their party potential on stage. On the day “XXV” is released, July 31st, OOMPH! will play the Wacken Open Air (9 PM, Party Stage). This will be the first time that the fans get to hear the new songs.